The entertainment company also updated its flagship home-theater A/V receiver. CEDIA 2015, Dallas, TX —Video projectors are great for producing a really big picture, but most have a tough time competing with LCD and OLED TVs when it comes to brightness and image quality. That shouldn’t a problem for Sony’s new flagship video projector. The VPL-VW5000ES’ new SXRD laser light engine delivers 4K resolution with high dynamic range (HDR) at up to 5000 lumens. In addition to the higher resolution and HDR support, the VPL-VW5000ES also provides a wider color gamut, delivering the full DCI-P3 color space (this is the color space used in digital movie theaters in the U.S.). Sony says the new projector can also be professionally calibrated to emulate the ITU-R BT.2020 color space (this is the color space used in 4K TVs). Sony’s latest high-end video projector promises to truly bring the movie-theater experience home. Video projectors can get hot, so they’re typically equipped with fans to keep them cool. But fan noise can be distracting when the projector is mounted close to the viewer, as is often the case in home theaters. 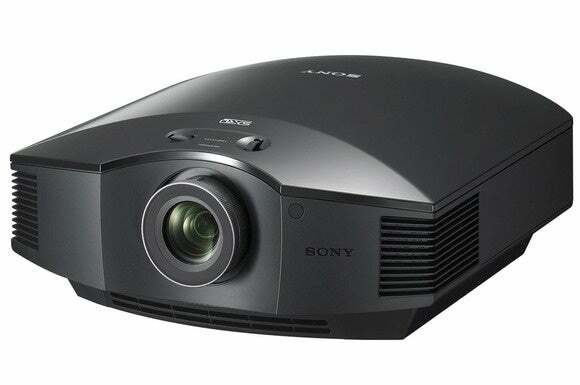 So Sony developed a liquid-cooling system for the VPL-VW5000ES that enables the projector to operate very quietly: 35dB in normal mode and down to 32dB in low-bright mode. The projector ships with a standard powered lens with a zoom ratio from 1.27 to 2.73:1 and lens shift capability of +/- 80 percent vertical and +/- 31 percent horizontal to provide flexibility in mounting options (it can be used in front- or rear-projection scenarios). An optional short-throw lens is also available. Sony is taking pre-orders for the projector now, and expects it to be available in Spring 2016. 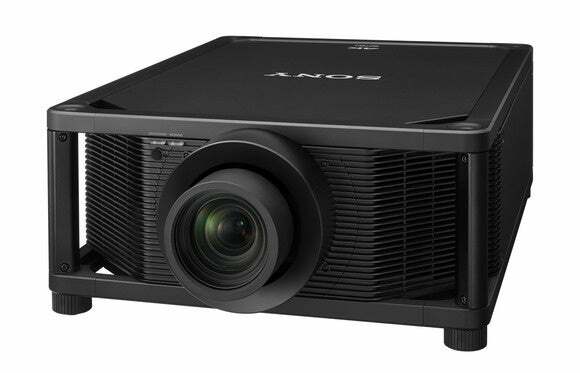 If 4K is beyond your budget, Sony offers a high-end 1080p projector, the VPLHW65es, at $4000. If $60K is out of your price range, Sony also announced three other new home-theater projectors, three of which deliver 4K resolution with HDR: the VPL-VW665ES ($14,999); the VPL-VW365ES ($9,999); and the VPL-HW65ES ($3,999), which drops down to 1080p resolution. The two 4K models are equipped with Sony’s Triluminos image-processing engine, and both support Sony’s Motionflow picture technology, which is designed to deliver clearer images when displaying fast-moving content. And if you invested in 3D glasses, you’ll be happy to hear that all three of these models feature built-in RF 3D transmitters. Sony also announced a new top-of-the-line A/V receiver that custom installers and home-theater enthusiasts alike should find appealing. The STR-ZA5000ES ($2800) is outfitted with a 9.2-channel amplifier and supports both Dolby Atmos and DTS-X. Rather than targeting discrete channels (front left, right surround, rear surround, and so on) Dolby Atmos and DTS-X enable a movie’s sound editor to position audio “objects” in a 3D space around the listener. The receiver interprets those objects on the fly as is appropriate for your particular speaker setup. Put Sony’s STR-ZA5000es A/V receiver in your entertainment center and you won’t need an ethernet switch: It has an eight-port PoE switch built it. The STR-ZA5000ES can drive front, center, surround, surround rear, and two pairs of height speakers, which would typically be mounted in the ceiling or very high on the wall. It has two pre-amp outputs to support a pair of powered subwoofers. The receiver has five HDMI 2.1a inputs, each of which supports HDCP 2.2, and there are two HDMI 2.2 outputs, so it can support a TV, a video projector, and/or a second zone inside your home (choose any combination of two). One of the STR-ZA5000ES’s most interesting features is the presence of a built-in eight-port ethernet port that provides power-over-ethernet on all eight ports. The receiver can also be controlled via RS-232C or infrared (via the front panel or a hard-wired connection in back). Sony expects to deliver the new receiver in the first quarter of 2016.